My mom grows raspberries in her garden. She always gives some of them away since she is not able to eat all the berries that the plants produce. The other night when she offered me some raspberries I knew exactly what I wanted to do with them. 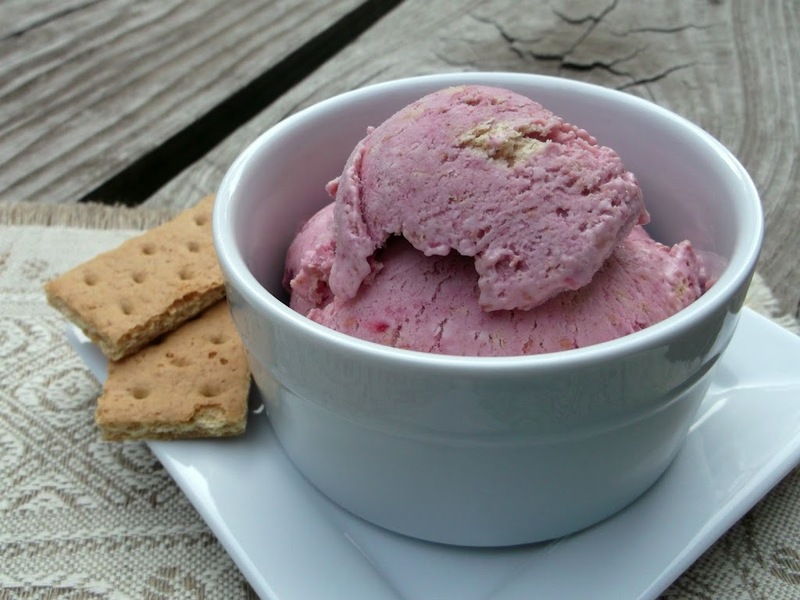 I found a recipe for strawberry cheesecake ice cream at kraftrecipes.com and I have not been able to get it out of mind. I knew these raspberries would make a great substitute for the strawberries. I love homemade ice cream and have eaten it when my sister and brother have made it. They are both lucky enough to have in their possession an ice cream maker, something that I don’t have. One of the reasons that this recipe caught my eye is because you don’t need an ice cream maker, how great is that. The recipe is a little time consuming but the end result is amazing. The ice cream turned out to be this delicious sweet yummy creamy ice cream. The raspberries were perfect, I am sure if you want to use the strawberries as in the original recipe that would be great too. So you don’t have an ice cream maker and you love the taste of homemade ice cream this is one ice cream you will have to try. Even if you have an ice cream maker I would recommend making this one, it’s absolutely to die for. I may sound a little over board on this ice cream, but really it is that tasty! Mix first 4 ingredients with mixer until well blended. Freeze 4 hours or until almost solid. Beat cream cheese mixture with mixer until creamy. Blend berries in blender until smooth. Add cream cheese mixture with chopped graham crackers; mix well. Freeze 8 hours or until firm. Remove dessert from freezer 15 minutes before serving; let stand at room temperature to soften slightly before scooping into dishes. 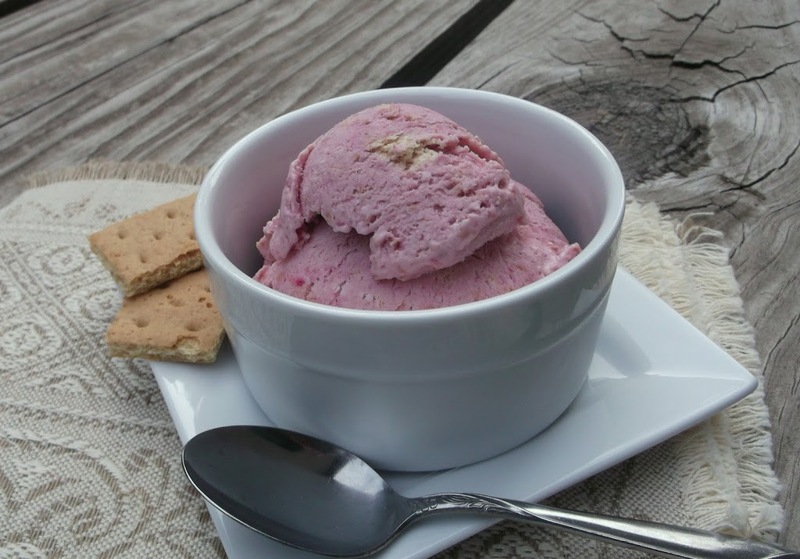 Mmmmmmmm… I’ve always loved raspberry ice cream, but this recipe looks like it would take it over the top. Yum! What an interesting recipe! Love the flavors. I’ll bet blueberries would be another option, although the raspberries look so great I can’t imagine why I’d substitute! Good stuff – thanks.